*Make your own “soft scrub: Sprinkle baking soda on a damp sponge and scrub bathtubs, sinks, and tiles the same as you would with the commercial brands. It’s great on greasy, stubborn pots and pans too! *Polish silverware: Mix 3 parts baking soda with 1 part water and rub gently on the surface with a clean, dry cloth. Rinse thoroughly and let dry for a brilliant shine. *Clean shower curtains: Sprinkle directly on a damp sponge and scrub gently until the shower curtain comes clean. The baking soda neutralizes any odors here too! *Give your liquid laundry detergent a boost: Just add ½ cup or so to your eco-friendly laundry detergent to make it work even harder. Baking soda will help to get your clothes cleaner, brighter, and fresher by balancing the pH levels. *Get rid of grease and oil stains: Sprinkle baking soda on oil and grease spills on your garage floor and then scrub with a wet brush. *All purpose cleaner: Fill a spray bottle with equal parts vinegar and water and use as you would any commercial glass cleaner. *Remove stickers and other ‘gummy substances’: Moisten the surface with vinegar and let stand for 10 minutes. *Carpet spills: Pour the half and half mixture directly on the carpet stain, let sit for 5 minutes, then blot with a damp sponge and repeat as needed. *Remove stubborn, corroded stains on shower heads and other fixtures: To do this, simply remove the fixtures and let them soak in vinegar overnight. Rinse them off in the morning and they are will sparkle! 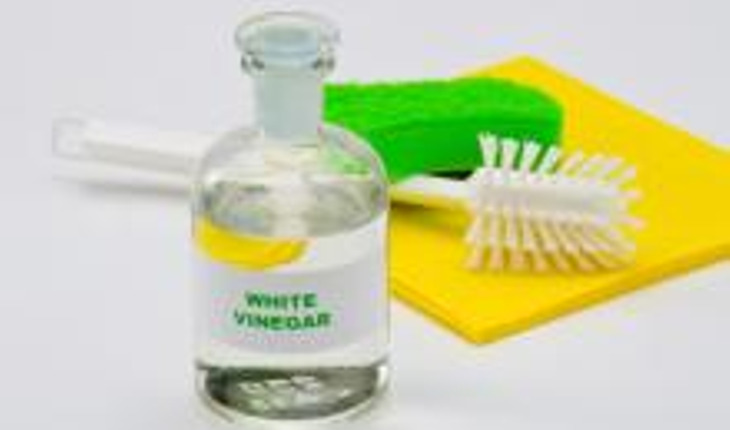 *Remove strong odor from hands: After chopping onions or garlic, wipe your hands with vinegar. It works on stains from fruit juice too! *Clean wood cutting boards: To clean your cutting boards, simply wipe them down with vinegar! *Furniture polish: Replace waxy commercial polish with olive oil. Just add a teaspoon to a ¼ cup of lemon juice and you can clean and shine your wood surfaces naturally. *Shoe polish: Dab a small amount of olive oil on to your favorite pair of leather shoes and buff to a brilliant, all-natural shine. *Hinge lubricant: Replace that commercial can of oil with olive oil and spray directly on the hinge to eliminate that annoying squeak! *Hairball treatment: Even household pets can benefit from the many uses of olive oil. Just add a teaspoon of olive oil a day to their food to eliminate this messy, noisy nuisance. *Soothe skin rashes: The soothing properties of olive oil can lessen the symptoms of skin rashes and may help to eliminate them. Gently rub a small amount to affected area for quick relief. It helps with a baby’s bottom too! Robert Nickell, a.k.a.”Daddy Nickell,” is a father of seven and the founder of Daddy & Co and the Daily Daddy where he provides parenting advice from a dad's perspective. He also contributes to national talk shows and daytime television shows and as a syndicated columnist for national newspapers, parenting magazines and websites. Robert Nickell and his family practice what they preach as they are in the process of building an eco friendly home that is on track to receive Platinum LEED certification, from the U.S. Green Building Council.